The Ohio State University football team is known as the Buckeyes. Ohio State fields varsity teams in the NCAA Division I FBS and is a member of the Big Ten Conference. Official OSU colors are scarlet and gray. The Ohio State football team won the 2002 BCS National Championship. In their long and storied history, the Buckeyes have been consensus NCAA National Champions seven times and claim a total of 36 Big Ten football titles. OSU plays its home football games in 102,329 seat Ohio Stadium. During the 2008 season the team achieved its 800th win, becoming the fifth college football team to reach that mark. Urban Meyer was hired as the Ohio State Buckeyes head football coach on November 28, 2011. The Ohio State Buckeyes won the first College Football Playoff National Championship in 2014. The official site of Ohio State Buckeyes Athletics is OhioStateBuckeyes.com. The Ohio State football team head coach is Urban Meyer. Learn more about Coach Meyer, here. Ohio State University is a coeducational public research university located in Columbus, Ohio. Founded in 1870, Ohio State University has an enrollment of 56,867 students and is the largest university in the United States. The official Ohio State University Academic website can be found at osu.edu. Ohio State Football Gameday has Buckeyes Gameday football information featuring traffic tips and directions, Ohio Stadium parking information, OSU Gameday activities, and Ohio State University Gameday maps. The home of the Ohio State football team is Ohio Stadium. The stadium opened in 1922 and holds 102,329 fans. Get the best prices on tickets to Ohio State University football games. You can comparison shop at one place online all the major sporting event ticket outlets at Big Ten Football Tickets. Big Ten Football Online has the cheapest price on Ohio State football tickets. Big Ten Football Online compiles all the local network radio listings so fans of Ohio State sports can listen to Buckeyes football online. Find out where you can listen to the Ohio State football game online at Big Ten Football Radio Online. OhioStateSports.net…Scarlet and Gray Sports Radio, the Student Radio Home of the Buckeyes. Listen to Ohio State sports online. We have future Ohio State football schedules for the upcoming seasons. View the 2016 Big Ten Football Schedule Grid and the 2017 Big Ten Football Schedule Grid at Big Ten Football Online. Get access to all Big Ten football games, highlights, and replays on the Big Ten Network. 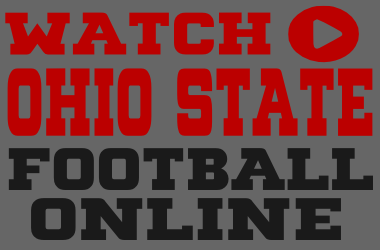 Find out where you can watch Ohio State football online at Watch Big Ten Football Online. Big Ten Online is the best place to watch the Ohio State football game online. Buckeye Vision…Watch Ohio State football, basketball, and baseball games online. Find Ohio State football wallpaper for cell phones and computers, OSU screensavers and Buckeyes backgrounds at our free Ohio State football wallpaper page. Buckeye Battle Cry and Across the Field are the official Ohio State fight songs. Download free OSU Buckeyes ringtones at Ohio State fight song ringtones. The most popular message board forums for Ohio State football are the Ozone Forum, Horseshoe Lounge, and BuckeyeSports.com, a member of the Scout.com network. The Ozone…Publishing online since 1996. BuckeyeBanter.com…The best Ohio State blog in the land. Bucknuts…The independent Ohio State sports site. The Buckeye Blog…Ohio State Football Analysis. Buckeye Battle Cry…for Fans of Ohio State. Men of the Scarlet and Gray…Ohio State Buckeyes Football. Buckeye Sports…A member of the Scout network. Buckeye Grove…A member of the Rivals network. OSU Alumni…Ohio State Alumni Association. The Lantern…Official Ohio State University student newspaper. Buckeyextra…Ohio State Football coverage from the Columbus Dispatch. Everything Cleveland…Local coverage of Ohio State Football. Scarlet and Gray Sports Radio is the official student voice of Ohio State sports. Listen to Ohio State football online streams.